The Sun transits your 8th House of security systems, other people's money, metaphysics, insurance, inheritance and secrets. The 8th House also represents your sexuality and hidden talents. December will be an unusual month when reversals, changes and timing could be your best friend or your worst enemy. Try to maintain a positive attitude and a good disposition for ideal results. There will be a strong intensity to the way events unfold this month, Taurus. Mercury (your communication skills, logic and reasoning) transits in Sagittarius from 12/4 - 12/24. There is a heavy emphasis on the 8th House as the Sun and Mercury will travel together in Sagittarius. During this busy and hectic time, your mind and thoughts could be occupied or drawn to taxes, wills and possible inheritance matters. The 8th House also rules metaphysics, so you could be participating in detailed discussions about topics that some might consider hush hush, taboo and out there. Despite what others say, know that you will display effective ways of expressing yourself when you deal with any or all of these areas (8th House) during this transit. Sagittarius rules overseas travel, publishing and also deals with higher learning. Travel will be on your agenda at some point in the month. Finances, shared resources and taxes could also be other areas that consume your time and attention. Realize that you will be able to express yourself rather eloquently on these topics and someone special takes note of this and makes you aware. Try not to get an inflated ego from the attention you receive. Others find your opinions fascinating and let you know it. Venus (love, harmony and romance) begins the month in the compatible Earth element of Capricorn. Capricorn is your 9th House of overseas travel, higher education, publishing and legal issues. There is a certain warmth in the air this month and your personal and professional affairs promise to thrill you between 12/1-12/21, Taurus. Unexpected money, a surprise bonus or a thoughtful gift will touch your heart during this transit. Travel will be featured as will heartfelt gestures from your personal and professional associates. Venus is the planet of love and since Capricorn is your 9th House of foreign travel, publishing and spirituality you can expect these areas to benefit and favor you. You might also note that you will tend to take on the qualities of Capricorn such as being more private, methodical and decisive when it comes to those relationships you keep closest to your heart. This is your month to find love (if single), and coupled Taurus could be taking the next step under Venus in Capricorn. Handle your intimate relationship with special care on 12/2, Taurus. Differences in opinions can stand out and not in a good way. Keep a low profile in love but be open and loving towards your friends, family and that special someone. During Venus in Capricorn single Taurus can feel that someone they encounter is simply their destiny. This is one of Taurus most romantic times of 2013, so utilize the transit of Venus by making sure you look your very best, attend parties and events to which you're invited and push your personal agenda forwards whether it's a serious relationship, project or something else entirely. You will get the support and love from those whose opinions you admire, especially a Virgo, Scorpio and a Capricorn. On 12/21, Venus turns retrograde in Capricorn and could create some delays if you travel and may bring about some errors in your professional life and some drama where publishing, media and legal issues figure in your life. Venus will be retrograde in Capricorn from 12/21 - 1/31/14. An important date for you occurs on 12/25. You could feel tested to your limits and challenged by others. Mars (your motivation, sexuality and physical energy) begins the month in Virgo and enters Libra on 12/7. With Mars in the sign of Libra, your 6th House of health, daily routines, repair and maintenance will command the spotlight. Your physical energy will tend to focus strongly on health matters. You feel the need for change when you experience a strong desire to get your daily routines in order or at least to work in a direction where you wish for them to be. Caution Taurus: This transit creates some tense angles to other planets, so know that accidents can and will happen unless you protect your image at work and remain exclusively focused on professional projects during this time. You might have to work longer hours and there could be some drama to contend with but you remain resolute and driven. So ride out whatever uncertainty arises at the office this month. Health matters also occupy the spotlight since the 6th House deals with your health. A New Moon occurs in Sagittarius on 12/2. Sagittarius represents travel, higher learning and New Moons bring in new offers and opportunities. This day promises to bring a smile to your beautiful face, Taurus. This should be one of your very best days for fun and excitement. Plan a gathering with your closest friends or host a party at your house. A good time will be had by all. Only you can create a memorable time out of a casual affair. A Full Moon occurs in Gemini on 12/17. You could be pleasantly surprised when you are presented with a leadership role on this date. Try not to accept the first offer you receive. There will be better offers coming your way in the next 3 months that will appeal even more to you. Bottom line: Don't shortchange yourself on this date. Be patient and go after what you want, not what someone else expects you to do. 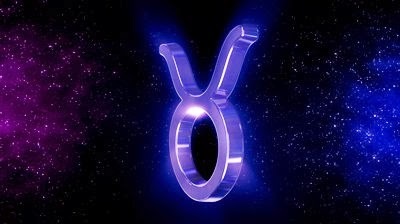 Know the people you're dealing with on this date, Taurus! The signs of Gemini, Virgo and Sagittarius play key roles in your life this month, Taurus. A Gemini holds a special place in your heart. A Virgo reminds you to focus on what's really important. A Sagittarius will inspire and uplift you throughout the month. Some serious lessons regarding your professional and personal life can be learned from a Sagittarius, Taurus.